I'm here! Forreals this time! Ahhh it's so nice to be back posting on my own blog again. As fun as it was to guest post it kinda feels strange, like I've living in someone else's house for three weeks. But now I'm back! With a recipe that's not anything mind-blowing, but it definitely delicious. I made these white chocolate shortbread biscuits, sandwiched with raspberry icing after a mishap with a slightly fancier baking experiment. These cookies were the perfect thing to console myself with after my baking fail, they were super easy to whip up and I could eat them straight away with a cuppa. I've been drinking buckets of tea since this cold weather hit. Did I mention how much I love winter? I know, I'm a weirdo. I love snuggling up under the doona, I love winter clothes (jackets, scarves, tights) and I love baking in the middle of winter. 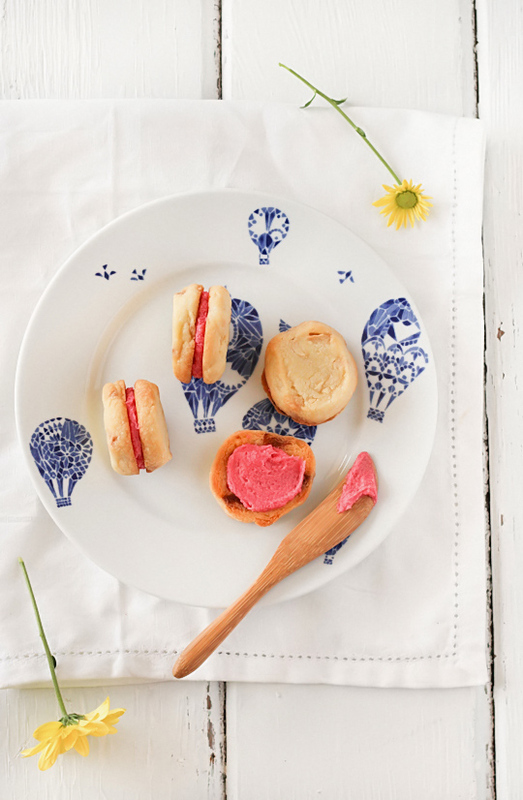 Isn't the bright pink hue of the raspberry icing just lovely? It's so colourful and packed full of flavour. 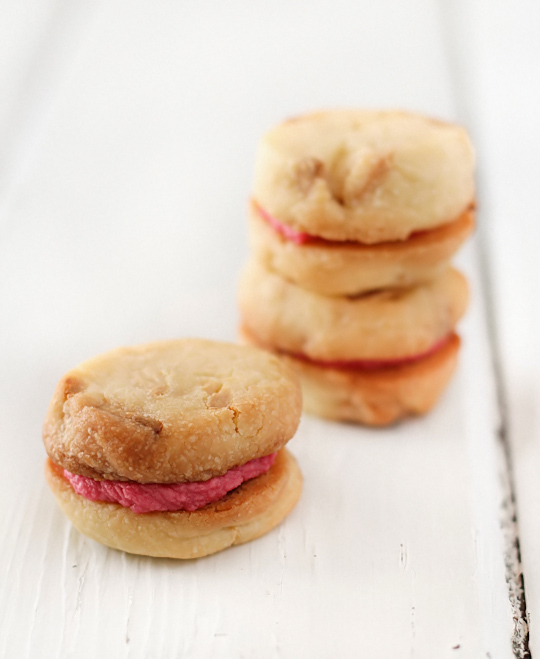 The tartness of the raspberries is an obvious match for the sweet white chocolate chips that are mixed into the buttery shortbread biscuits. I tend to gravitate towards recipes that are straightforward and quick to make as I don't often have the patience to create a dessert with multiple elements. You might think that the shortbread is sweet enough of its own and doesn't need to be sandwiched with extra icing, but I think it's much better off with the icing. As I mentioned, the sourness of the raspberries actually makes the biscuits seem less sweet. But I might not be the best judge of the level of sweetness, I obviously have a very big sweet tooth. Plus I've been denying myself all kinds of sweet treats for the last week as part of a health kick. It was so hard to stop myself from having more of these cute little cookies! For the biscuits; line two baking trays with baking paper. Place butter, sugar and vanilla in a large mixing bowl and beat with an electric mixer on high until very pale and creamy (at least 10 minutes). Stir in flour and white chocolate pieces with a spatula then turn out on to a clean, lightly floured surface and gently bring the dough together with lightly floured hands. Try not to overhandle the dough as it will make it tougher. Split the dough into quarters and roll into logs with a 3cm diameter. Wrap each log in cling film and refrigerate for at least half an hour, until firm. ( Alternatively, you can roll tablespoons of dough, press them onto your prepared tray and chill the trays but I like to save space in my fridge.) Preheat oven to 160°C (320° F) and remove dough from fridge. Slice 1cm thick pieces of dough from the logs and place on the prepared trays, leaving at least 1.5 cm space between each biscuit. Bake for about 15 mins (swapping trays halfway through baking) or until they just start to turn golden. Take care not to overbake as this will make them crunchier. Remove from the oven and cool on tray for 5 minutes, then transfer to a wire rack to cool completely. For the icing; place butter in a mixing bowl and beat with an electric mixer on high until smooth and fluffy. Gradually add icing sugar, beating until combined. 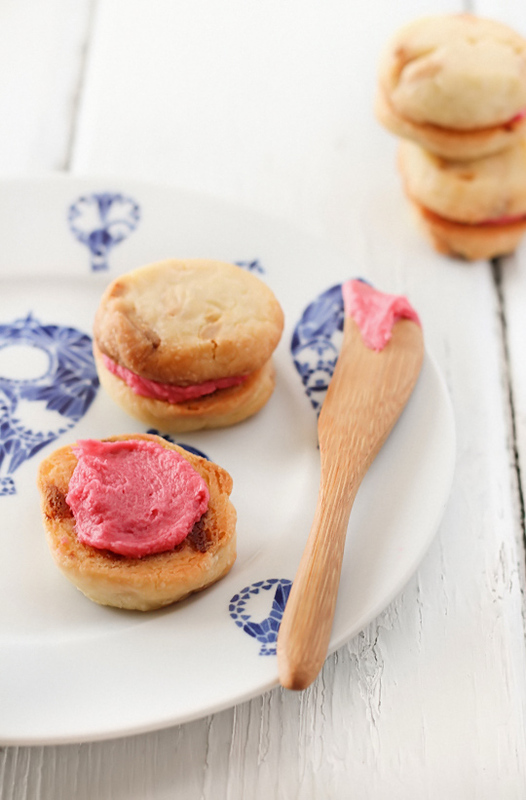 Add raspberry puree gradually, until you achieve your desired consistency and flavour. You want your icing to be stiff enough to hold it's shape but soft enough to spoon or pipe. Sandwich icing between cooled biscuits. Serve immediately or store in an airtight container at room temperature for a few days. the look of these reminds me of a monte carlo biscuit! Love the colour of the raspberry filling - it's just gorgeous! Yummy yummy! 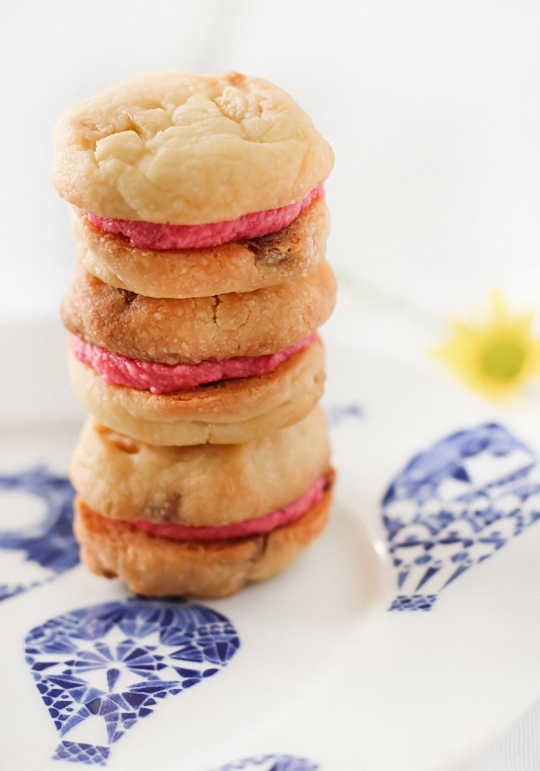 These cookies look really lovely...that pop of pink is gorgeous! you make everything look so good! im sure they all taste fabs too! yumyum! 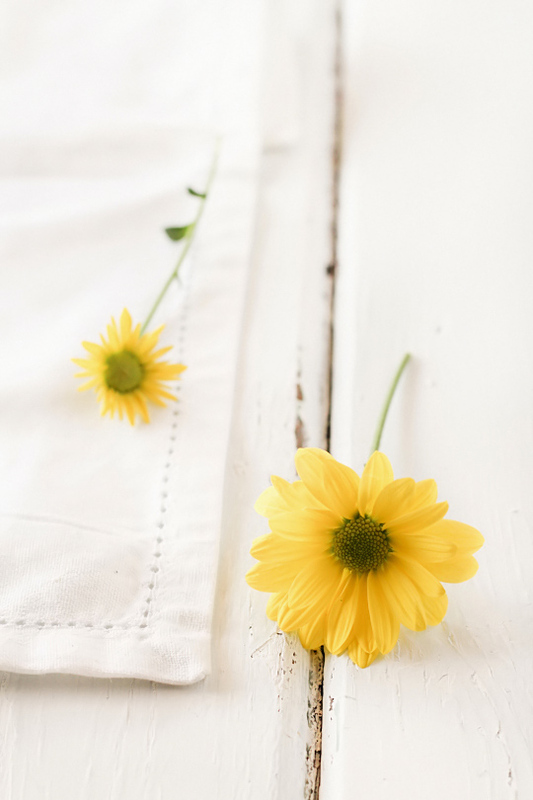 These looks delicious, love your bright, cheerful photos! These cookies look amazing! 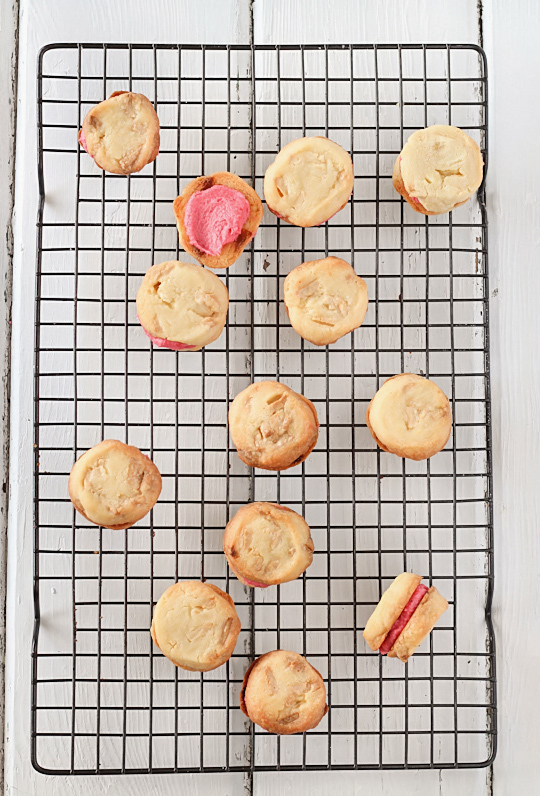 Love the addition of the pink buttercream - it makes these cookies even more cheerful and bright! These look like perfect comfort food for winter, and they remind me of Monte Carlos too! My husband loves white chocolate and these sounds just the kind he would enjoy a LOT! Why did I never think of icing shortbread? Great idea, and gorgeous photos too! These look beautiful, the icing is such a fantastic colour, it makes the photographs really pop out. you've managed to bring four of my favourite things into one sweet! white chocolate, shortbread, raspberries, icing! safe to say, you're my hero! Also, where are the plates from? !